In 1961 and 1962, a series of experiments were carried out at Yale University. Volunteers were paid a small sum to participate in what they understood would be 'a study of memory and learning'. In most of the experiments, a white-coated experimenter took charge of two of the volunteers, one of which was given the role of 'teacher' and the other 'learner'. The learner was told he had to remember lists of word pairs, and if he couldn't recall them, the teacher was asked to give the person, who was strapped into a chair, a small electric shock. With each incorrect answer, the voltage rose, and the teacher was forced to watch as the learner moved from small grunts of discomfort to screams of agony. What the teacher didn't know was that there was actually no current running between his control box and the learner's chair, and that the volunteer was in fact an actor who is only pretending to get painful shocks. The real focus of the experiment was not the 'victim', but the reactions of the teacher pressing the buttons. How would they cope with administering greater and greater pain to a defenseless human being? The Milgram experiment is one of the most famous in psychology. Here we take a look at what actually happened and why the results are important. If you are like most people, you would expect that at the first sign of genuine pain on the part of the person being shocked, you would want the experiment halted. After all, it is only an experiment. This is the response Milgram got when, separate to the actual experiments, he surveyed a range of people (psychiatrists, graduate students, psychology academics, middle-class adults) on how they believed the subjects would react in these circumstances. Most predicted that the subjects would not give shocks beyond the point where the other subject asked to be freed. These expectations were entirely in line with Milgram's own. But what actually happened? Most subjects were very stressed by the experiment, and protested to the experimenter that the person in the chair should not have to take any more. The logical next step would be then demand that the experiment be terminated. In reality, this rarely happened. Despite their reservations, most people continued to follow the orders of the experimenter and inflict progressively greater shocks. Indeed, as Milgram notes, “...a substantial proportion continue to the last shock on the generator”. This is even when they could hear the cries of the other subject, and even when that person pleaded to be let out of the experiment. Milgram’s experiments have caused controversy over the years; many people are simply unwilling to accept that normal human beings would act like this. Many scientists have tried to find holes in the methodology, but the experiment has been replicated around the world with similar outcomes. As Milgram notes, the results astonish people. They want to believe that the subjects that volunteered are sadistic monsters. However, he made sure the subjects covered a range of social classes and professions, were 'normal' people put in unusual circumstances. Getting absorbed in the technical side of the experiment. People have a strong desire to be competent in their work. The experiment and its successful implementation became more important than the welfare of the people involved. Transferring moral responsibility for the experiment to its leader. This is the common “I was just following orders” defense found in any war crimes trial. The moral sense or conscience of the subject is not lost, but is transformed into a wish to please the boss or leader. Choosing to believe that their actions need to be done as part of a larger, worthy cause. Where in the past wars have been waged over religion or political ideology, in this case the cause was Science. Devaluing the person who is receiving the shocks: ‘if this person is dumb enough not to be able to remember the word pairs, they deserve to be punished’. Such impugning of intelligence or character is commonly used by tyrants to encourage followers to get rid of whole groups of people. They are not worth much, the thinking goes, so who really cares if they are eliminated? The world will be a better place. Perhaps the most surprising of the above is Milgram's observation that the subject's sense of morality does not disappear, but is reoriented, so that they feel duty and loyalty not to those they are harming but to the person giving the orders. The subject is not able to extract themselves from the situation because – amazingly – it would be impolite to go against the wishes of the experimenter. The subject feels they have agreed to do the experiment, so to pull out would make them appear as a promise-breaker. Why are we like this? Milgram observed that the tendency of human beings to obey authority evolved for simple survival purposes. There had to be leaders and followers and hierarchies in order to get things done. Man is a communal animal, and does not want to rock the boat. Worse even than the bad conscience of harming others who are defenseless, it seems, is the fear of being isolated. Most of us are inculcated from very young that it is wrong to hurt others needlessly, yet we spend the first twenty years of our life being told what to do, so we get used to obeying authority. The experiments threw subjects right into the middle of this. Should they 'be good' in the sense of not harming, or 'be good' in the sense of doing what they're told? Most subjects chose the latter – suggesting our brain is hardwired to accept authority above all else. The natural impulse not to harm others is dramatically altered when a person is put into a hierarchy structure. On our own we take full responsibility for what we do and consider ourselves autonomous, but once in a system or hierarchy we are more than willing to give over that responsibility to someone else. We stop being ourselves, and instead become an 'agent' for someone or something else. Obedience to Authority can make for painful reading, especially the transcript of an interview with an American soldier who participated in the Mai Lai massacre in Vietnam. Milgram concluded that there was such a thing as inherent psychopathy, or 'evil', but that it was statistically not common. His alarm was more about your average person (his experiments include women too, who showed almost no difference in obedience to men) if taken off the street and put into the right conditions, can do terrible things to other people – and not feel too bad about it. This, Milgram notes, is the purpose of military training. The trainee soldier is put in an environment separate from normal society and its moral niceties and instead is made to think in terms of 'the enemy'. He or she is instilled with: a love of 'duty'; the belief that they are fighting for a great cause; and a tremendous fear of disobeying orders: “Although its ostensible purpose is to provide the recruit with military skills, its fundamental aim is to break down any residues of individuality and selfhood.” The trainee soldier is made to become an agent for a cause, rather than a freethinking individual, and herein lies his or her vulnerability to dreadful actions. Other people stop being human beings, and become 'collateral damage'. What makes one person able to disobey authority, while the rest cannot? Disobedience is difficult. Subjects generally feel their allegiance is to the experiment and experimenter; only a few are able to break this feeling and put the person suffering in the chair above the authority system. There is a big gap, Milgram noticed, between protesting that harm that was being done (which nearly all subjects did), and actually refusing to go on altogether. Yet this is the leap that is made by those few who do disobey authority on ethical or moral grounds. They assert their individual beliefs despite the situation, whereas most of us bend to the situation. It is the difference between a hero who is willing to risk their own life to save others - and an Eichmann. Culture has taught us how to obey authority, Milgram remarks, but not how to disobey authority that is morally reprehensible. Obedience To Authority seems to give little comfort about human nature. Because we evolved in clear social hierarchies over thousands of years, part of our brain wiring makes us want us to obey people above us. Yet it is only through knowledge of this strong tendency that we can avoid getting ourselves into situations in which we might do evil. Every ideology requires a lot of obedient people to act in its name, and in the case of Milgram's experiment, the ideology that awed subjects was not religion or communism or a charismatic ruler. Apparently, people will do things in the name of science in the same way the Spanish Inquisitors tortured people in the name of God. Have a big enough 'cause', and it is easy to see how giving pain to another living thing can be justified without too much difficulty. That our need to be obedient frequently overrides previous education or conditioning towards compassion, ethics or moral precepts would suggest that the cherished idea of human free will is a myth. On the other hand, Milgram's descriptions of people who did manage to say 'no' to further shocks should give us all hope for how we might act in a similar situation. It may be part of our heritage to obey authority mindlessly, but it is also in our natures to set aside ideology if it means causing pain, and to be willing to put a person above a system. Milgram's experiments might have been less well-known were it not for the fact that Obedience To Authority is a gripping work of scientific literature. 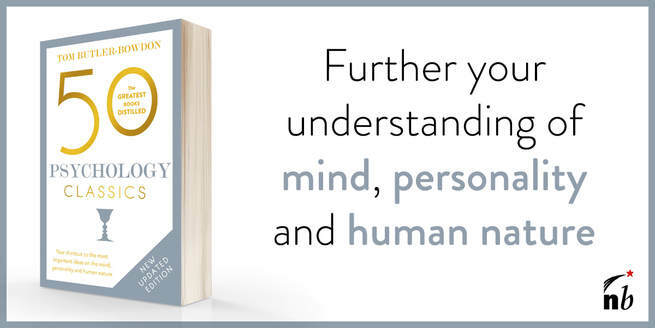 This is a book that anyone interested in how the mind works should have in their library. The genocide in Rwanda, the massacre at Srebrinica, and the affronts to human dignity at Abu Ghraib Prison are all illuminated and partially explained by its insights. Born in New York City in 1933, Milgram graduated from high school in 1950 and earned a bachelor's degree from Queens College in 1954. He majored in Political Science, but decided he was more interested in psychology and took summer courses in the subject in order to be accepted into a doctoral program at Harvard. His PhD was taken under the supervision of eminent psychologist Gordon Allport, on the subject of why people conform. He worked with Solomon Asch at Princeton University, who developed his famous experiments in social conformity. Both were strong influences. Milgram died in New York in 1984, aged 51.